The Republican Party is represented by an elephant. The Democratic Party is represented by a donkey. Most people aren't really sure why. We just kind of go along with it. That's just the way it has always been, hasn't it? Not quite. CNN Style and Artsy.net partnered up for a fascinating deep dive into how exactly the elephant turned red and the donkey turned blue. Turns out, the decision wasn't especially intentional -- or even much of a decision. German-born, Nast grew up in New York and started working for Harper's where he used his illustrative capabilities to make fierce commentary on the political landscape which he saw as quite a circus. Nast, a proud Republican, doled out criticism to both parties. As reported by CNN, "Like the best satirists, he ridiculed his own side almost as gleefully as he did his opponents' -- and so, he reimagined the GOP as a weak, panicky creature that was constantly lumbering off in the wrong direction, its size more of a liability than an asset." None of Nast's drawings were particularly favorable to either party. 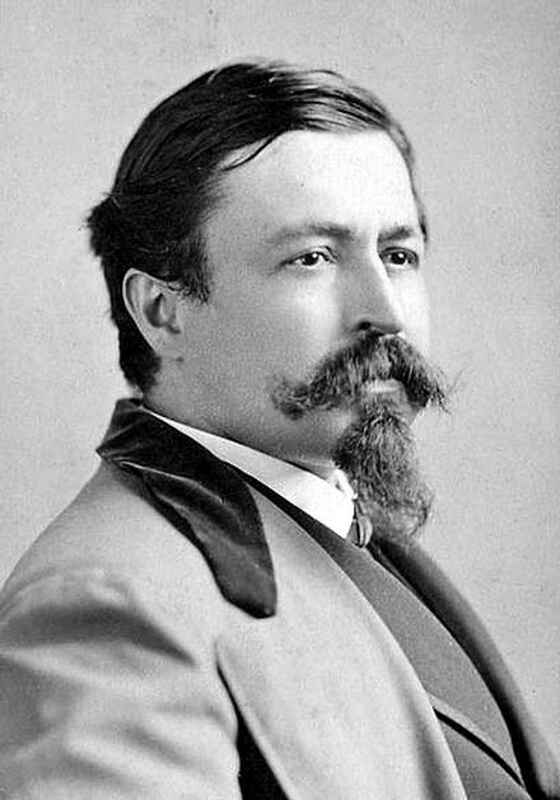 He struck fear into the hearts of all political stripes throughout the 1880s when his cartoons were at their fiercest and most voraciously consumed. There is one missing link, however, in the CNN and Artsy story. Why would both dems and republicans so eagerly accept mascots that were originally conceived to humiliate them? It's worth noting that the GOP has officially adopted their elephant mascot. (Who can blame them?) While democrats haven't adopted any formal mascot, they are most closely associated with the donkey that Nast gave them. 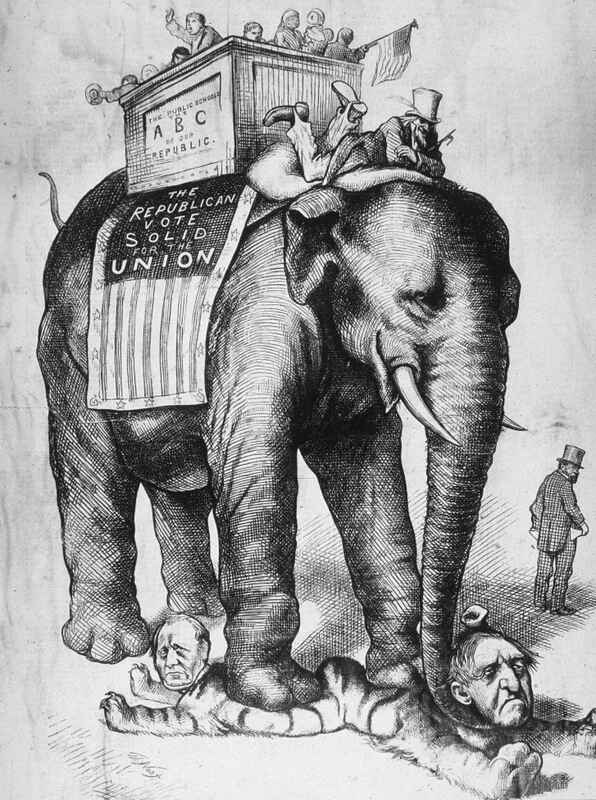 Nast's cartoons also serve as a larger commentary on how exclusively elephants were associated with circus acts in the 1880s, a connotation that has (thankfully) become less prevalent today.